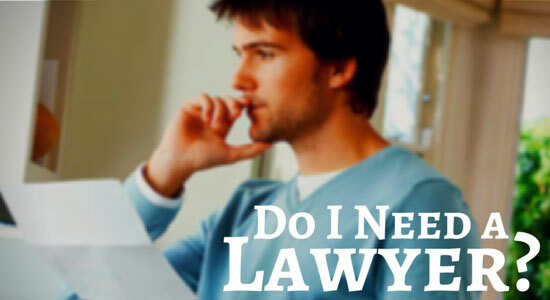 When people ask, "Why do I need a lawyer?" we give them a simple answer: If you don't know the legal system, you won't get the money you deserve to compensate you for your injuries. Hiring a lawyer will help ensure you get the most of your case. Don't just take our word for it. Statistics show that injury victims are most successful during the legal process when they hire an experienced attorney to handle their claim. One study indicated that those who hire lawyers to handle their cases receive more than three times more money before legal fees than those who try to handle their claim on their own. You should never agree to a settlement before you have a clear understanding of the scope of your injuries and future medical needs, the amount of your unpaid medical bills, and how long you may need to be off work to recover from your accident. When you hire us, our injury attorneys will handle all the legal paperwork and deal with the insurance companies—all while keeping you informed of your legal rights and advising you on the next steps to take in the legal claims process. We will send investigators to the scene of the accident to collect evidence and interview witnesses. We'll use our resources to determine who was at fault for your injuries and figure out what benefits and compensation you are entitled to recover. Our law firm will cover all upfront costs to prove your case in court. If we need to hire expert witnesses to prove you are the victim, we will. We will track your deadlines, answer your questions, and protect you from insurance companies that don't have your best interest in mind. Our legal team will deal with your medical bills and paperwork so you can focus on your recovery. We help you understand your medical bills and talk to the doctors' offices and hospitals so they won't send collection agencies after you. When you hire Edgar Snyder & Associates, you are signing on with a law firm that has over 35 years of experience. With us, you never have to worry about the cost of quality legal representation because unless we secure a successful outcome in your case, we don't get paid a penny. Call us today for a free case review. We have someone here to help answer your legal questions 24/7 at 1-866-943-3427.